As the international spotlight turned to South Africa for the 2010 World Cup, FIFA sought to create a social legacy across the entire African continent. What resulted was 20 Centres for 2010 - a streetfootballworld-led initiative involving FIFA, Greenfields and Architecture For Humanity. 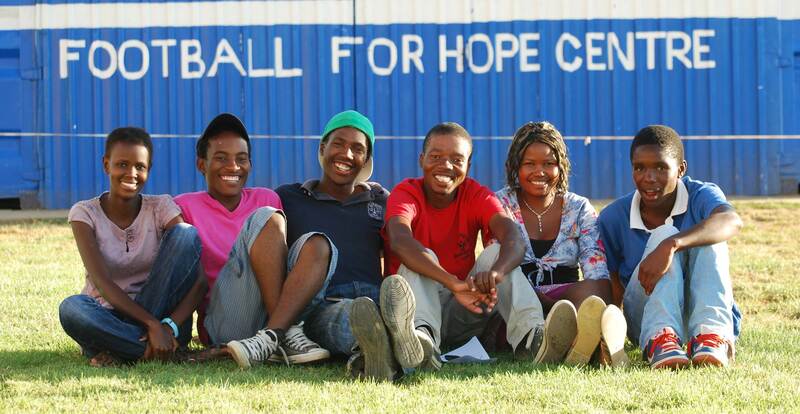 In an international first, the project achieved lasting social change through the construction of twenty ‘Football for Hope Centres’ in fifteen African nations. These centres each include a multi-purpose communal building and a durable football pitch, both of which are powered by solar energy. Another important element is that they are all hosted by local community organisations with proven experience in empowering young people through football. For these organisations, the centres represent an opportunity to expand their football programmes and, in turn, drive positive change across topics ranging from social inclusion to AIDS prevention to youth employment. "It’s amazing how every time I come to the Centre, I see how happily children and young people who live in the community fill the premises, while doing something useful with their time."